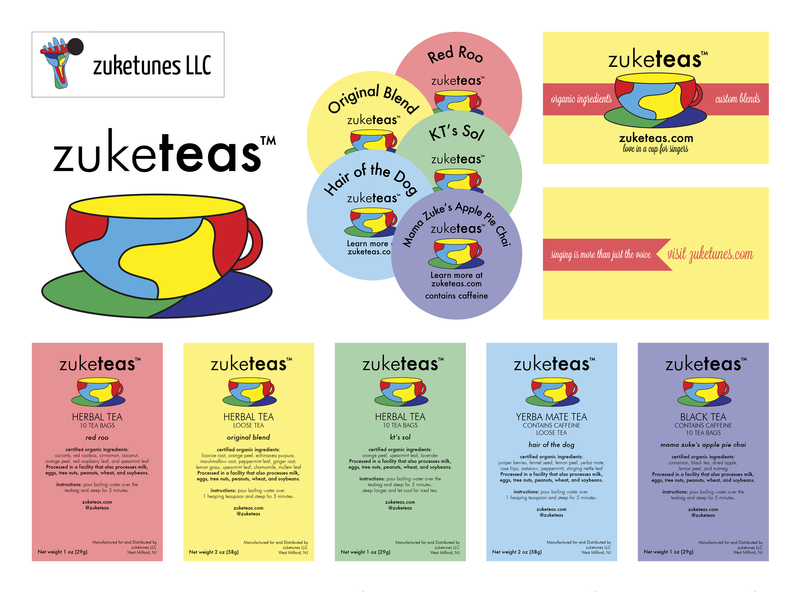 The zuketeas™ logo was designed to match the already-existing microphone zuketunes LLC logo: a line art teacup with abstract blocks of five colors. Each of the five tea blends have their own distinctive label color, one for each of the five colors at 50% opacity. The fonts are varying weights of Futura. Marketing materials include but are not limited to the logo, large labels for bags, small stickers for sample bags, and the business card. The store can be found at zuketeas.com.